INDIA. Mumbai. 2006. 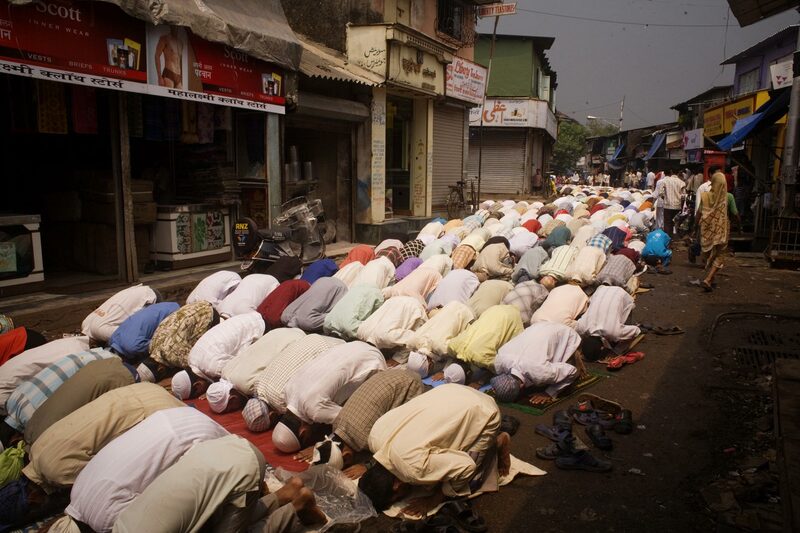 On Dharavi's Main Road, muslims gather for Friday prayers. There is not enough room inside the area's mosques, so people spill out into the streets of Dharavi.